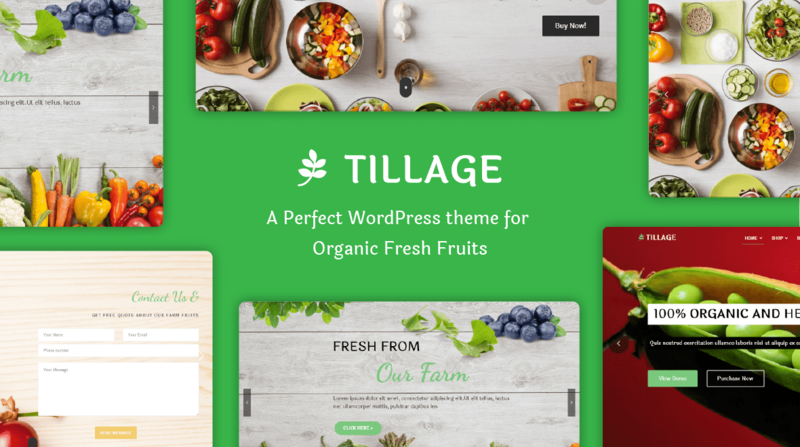 Tillage is a responsive green and organic theme with a colorful and attractive design. The theme is well built with unique organized and optimized pattern of features. The theme is best for agricultural, organic products, farm business, grocery, fruits, and vegetables. It has a clean design which possesses WooCommerce integration to add more flexibility to the theme like store front layout and shop page. The theme draws unlimited color schemes with customizer and extended styling option. The other features make the theme to stand out, the cross browser compatibility, SEO optimized, WPML compatible. This is a well-crafted theme with ideal options and simplicity. The all-time best slider plugin for WordPress comes free with Tillage. Enjoy the built-in styles and create beautiful sliders for your website. Tillage WordPress theme is integrated with the best WordPress e-Commerce toolkit – WooCommerce. Create your online store with the world famous eCommerce solution and start selling beautifully.